"The Gathering of the Grooms, Groomes, Crooms"
Rev. Needham York Groom (1847-1915) are interested in expanding their relationship with all Needham York Groom descendants and other GROOM descendants throughout the United States with possible future reunions to be held in different areas of the U.S. There are over 600 descendants of Needham York Groom! Updates will be on the site shortly. Another Great Success! 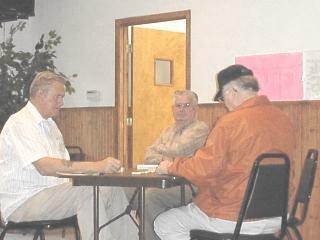 - Our 2002 Groom Reunion was held at the Lakeview Methodist Conference Center near Palestine, Texas and was delightful. How wonderful to meet with our loved ones once again and to discover newfound relatives. As usual there was singing, talking, eating, laughing & praying together! Lakeview Center is a 1300 acre facility which includes three lakes - Lemons Lake with 80 acres, Lake Wilson with 60 acres and Asbury Lake with about 2 acres. The remainder of the rolling hills are covered with pine, oak, gum, dogwood, and the native trees and more than 300 varieties of wildflowers of central East Texas. Beyond the many varieties of trees and wild flowers found on the 1300 acre property, the following forms of wild life may be regularly observed: beaver, deer, coyotes, bobcat, rabbits, squirrels, flying squirrels, gray foxes and red foxes, hawks and occasional bald eagles. The three lakes are stocked with largemouth and black bass, bream and catfish. 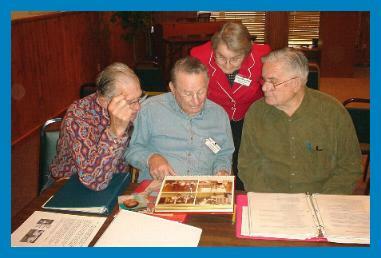 The 2001 Groom Family Reunion was held at the Timberline Camp Grounds near Lindale, Texas.� Thanks to the dedication and hard work of the reunion committee, this reunion was a vast success.� The committee was able to capitalize on the experiences of the 2000 Reunion to help control expenses this year. It is always a joyous occasion to renew family acquaintances and make new ones through our lively visiting.� Genealogy continues to be a major focus at the reunion.�� How great it is to make new inroads into the Groom linage.� Betty Meadows, Newsletter Editor and one of our avid Genealogy Researchers, gave a morning and afternoon session on Genealogy Research. One of the highlights of the 2001 reunion was the personal sharing of each of the Groom descendants.� Sharing by family members of past and present occurrences in their lives was thoroughly enjoyed by all. The songfest �hoedown� continues to be popular and it can be truly said that we are a �musical family�. The live auction fundraiser was a success and a fun event.� We bid on items from handmade crafts to sports memorabilia.� Thanks to all who donated items for this auction.� The Sunday morning worship service is always a wonderful experience with guest speakers and special music.� . 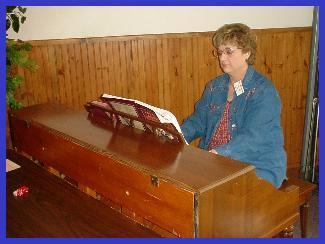 Jeanie Maddox - Heavenly Music! 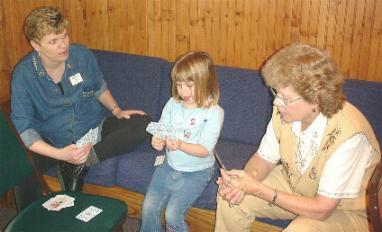 Card Game Wanda Groom, her daughter & grandaugher. We met for a three day weekend at Timberline camp grounds in Lindale, Texas on March 17,18,19, 2000. Timberland is located one mile north of Interstate 20 off of Hideaway Lake exit. I was so impressed with the BEAUTIFUL campgrounds! There are wonderful facilities there. I'm afraid my words won't do it justice. Our motel, meeting room and cafeteria were nestled between majestic pine trees and overlooked a lovely lake. My aunt had just the right words as we were walking past the serene lake. She said it "restored her soul"! There are camping facilities on the grounds among the georgeous pine trees. Carroll Robinson and several others' hard and dedicated work made this a "Reunion to Remember"! Our schedule included many interesting and fun activities - crafts, genealogy, children's activities (fishing), games, music with a music "Ho Down", and of course, much visiting! which featured this GROOM/E/S Y2K GATHERING - the Y2K Schedule is included with a Survey, Genealogy, Our Line, Octogenerian, Officers, Volunteers and Sponsors. Betty Gaulden Meadows is the creator and Editor and is doing a beautiful job. Held on Sunday, May 16th at the Whitton Community Center, near Mabank, Texas. 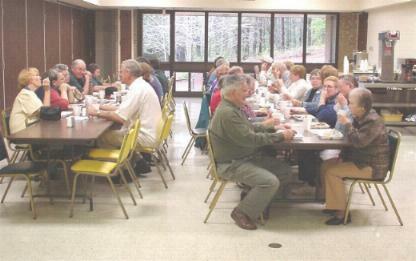 As usual, everyone had a wonderful time with singing, visiting and another successful pot luck lunch. We met and felt immediate bonds with newfound relatives who learned about the reunion from this site. Held May 16 and 17th. Approximately 100 Groom relatives enjoyed reminiscing, meeting newfound relatives, singing, worshiping & sharing a delicious pot luck lunch. Newfound relatives - Cousins, Shirley (Watson) Rowe & Carroll (Vanscoy) Robison. Carroll described how excited she was when she found our site and information about their Great Grandmother, Margaret (Gryder) Groom, from our Groom Family Reunion Site.